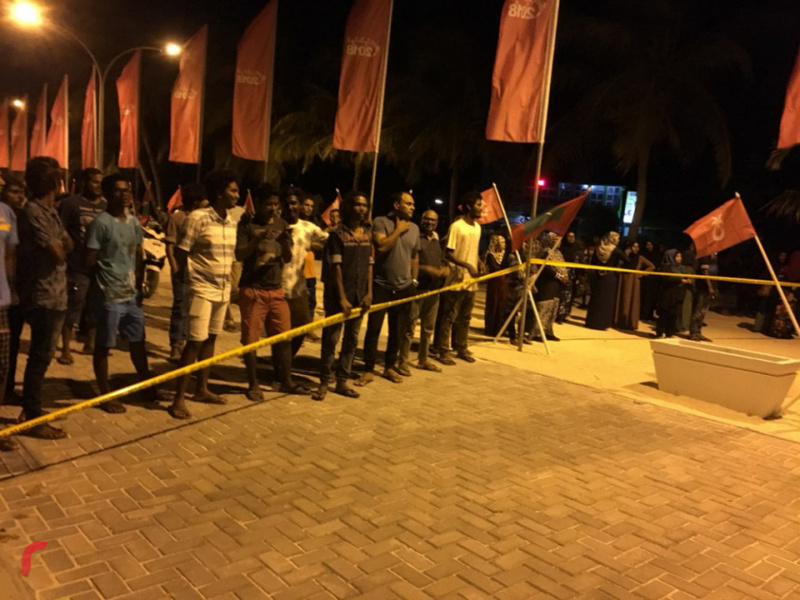 Supporters of opposition parties protest against President Abdulla Yameen Abdul Gayoom's visit to N. Velidhoo. Police have released the three men arrested from N. Velidhoo during President Abdulla Yameen Abdul Gayoom’s visit to the island last Tuesday. A Velidhoo councilman who spoke to “Sun” said two of the men were released on Tuesday night, and the third was released at dawn this Wednesday. The councilman said the specific reason for their arrest is unclear. “I don’t know why exactly. Most likely it’s because of something which happened while a large part was cordoned off during the President’s visit,” said the councilman. Maldives Police Service has not been available for comment regarding the arrests.